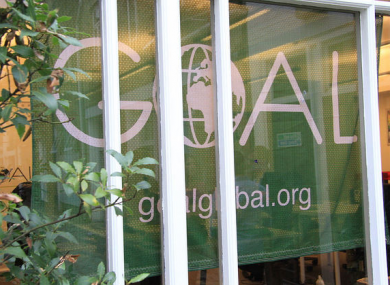 AID AGENCY GOAL has appointed Celine Fitzgerald to the position of General Manager on a one-year fixed-term contract. The move comes after chief executive Barry Andrews announced he would step down. Fitzgerald steps into the role having worked with Eircell, Vodafone and outsourcing business, Rigney Dolphin. She is currently on the boards of both VHI and Irish Water’s parent company Ervia. She will be tasked with implementation of an action plan the charity has drawn up. One of Ireland’s largest aid agencies, Goal is currently dealing with the fallout of a US investigation into its aid operation in Syria. Earlier this year USAID, Washington’s foreign aid arm, told Goal and a number of other agencies on the Turkey-Syria border to halt certain procurement with US funds pending the outcome of inquiries into alleged bribery and bid-rigging involving suppliers in southeastern Turkey. In the last four years, Goal has doubled its turnover, becoming the biggest Irish aid agency in the field. However, the Department of Foreign Affairs here has withheld €10.1 million in aid for Goal since it learned of the USAID investigation in April. USAID has told Goal and other agencies under scrutiny to halt certain procurements using American funds while the inquiry, carried out by the US office of the Inspector General, is ongoing. It continues to fund the agency’s other programmes. TheJournal.ie understands that the investigation is centred on one individual with links to Goal. It concerns a particular tender for items valued at $170,000 (€154,000). Email “Goal appoints board member of Irish Water parent company as boss after US investigation”. Feedback on “Goal appoints board member of Irish Water parent company as boss after US investigation”.